The deadly attacks on worshippers at Friday prayers in New Zealand marked the latest example of a grim phenomenon: mass violence followed by revelations that the suspected perpetrator had studied and drew inspiration from previous massacres before opening fire. It is a sequence that has recurred again and again throughout the world, creating a cycle in which the bloodshed devastating one community can reverberate, sometimes many years later, in another. The result is a lineage of horror that connects suburban South Florida to downtown Paris, the pews of a Texas church to the dance floor of an Orlando nightclub to Westminster Bridge in London. In New Zealand, the connections were made in a manifesto the alleged gunman posted citing the avowed white supremacist who in 2015 killed nine black parishioners in a Charleston, South Carolina, church as well as the Norwegian mass murderer who in 2011 killed 77 people in a bomb attack and a shooting at a children's summer camp. There is "a feedback loop" for mass attackers, said Peter Blair, a criminal justice professor who co-wrote a 2013 FBI study on active shootings. "Quite a few of them... they've done research on previous attackers, they're trying to learn from them, they're inspired by them, they're trying to quote-unquote improve upon what those people did," he said. "We see that all the time." The cases include the former student charged with killing 17 people inside his former high school at Parkland, Florida, who had searched beforehand for details about the 2007 rampage at Virginia Tech and the 1999 attack at Columbine High School in Colorado. In turn, the attacker who killed 32 people at Virginia Tech called the Columbine shooters "martyrs." In South Carolina, a teenager who pleaded guilty last year to killing a six-year-old at an elementary school had mentioned both of those attacks along with his desire to "beat" the death toll from the massacre at Sandy Hook Elementary School - where a shooter killed 26 people, 20 of them children, in 2012. Research has shown that those who attempt or carry out mass attacks frequently look to the methods of past attackers - and in some cases imitate them - in a way that experts said was similar to how terrorists adopt tactics. The wave of truck attacks carried out by followers of Isil is one clear example. "It's not unlike terrorism that we've seen historically, Islamic extremist terrorism. You get someone who does something, who causes someone who is similarly inclined to want to follow," said Mary McCord, a former acting assistant attorney general for national security at the US Department of Justice. "I think it's a pattern we've seen over and over again in terrorism." Experts say mass attackers tend to have similarities, including that they frequently seek infamy and nurse a sense of personal victimisation. When Paul Mullen, an Australian researcher, studied five mass shooters for a 2004 article, he also found that they sought to become famous, with one saying they were "going for the record". The Columbine shooting is often referred to as a touchstone for such attackers - and not just in the United States. In a 2009 article on Columbine's legacy written a decade after the attack, Ralph Larkin of the John Jay College of Criminal Justice found six rampages outside the US that imitated or referenced that attack. In some cases, it is unclear how intentional the echoes are. The New Zealand manifesto makes references to "invaders that seek to enter our lands". The man accused of killing 11 people at a Pittsburgh synagogue last autumn posted angrily online about a group that provided aid to refugees and said they "like to bring hostile invaders". The New Zealand shooting also was the latest attack at a house of worship in recent years, a list that includes the Pittsburgh and Charleston massacres as well as deadly assaults on a Quebec City mosque, a Sikh temple in Wisconsin and a church in Sutherland Springs, Texas. "This guy conducted an attack in the same way that the gunman in Sutherland Springs, Texas, did," said John D Cohen, a former counterterrorism coordinator at the Department of Homeland Security. "He started shooting from the outside, and when people started to hide he walked in and started shooting inside the mosque." When attackers reference their predecessors, that typically comes in the form of "celebrity worship", said Adam Lankford, a criminology professor at the University of Alabama and an expert in mass shootings. Less frequently, he said, people will actually study the tactics and methods used to try to inflict greater carnage. 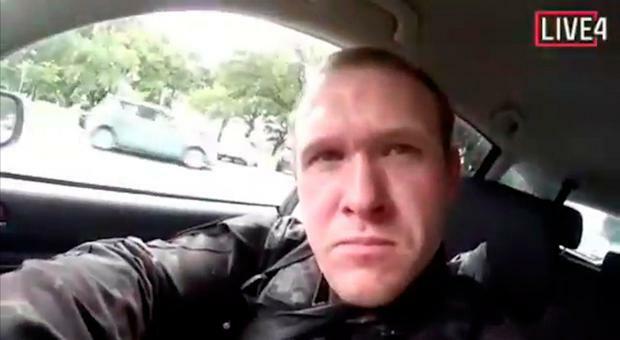 But looking at or referencing past attackers can also show what influenced their thinking, and a manifesto that specifically mentions Charleston and the Norwegian attacker seemingly demonstrates that in the New Zealand case, Lankford said. "Where did this guy get the idea from, to kill strangers in a mass shooting at a religious location?" Lankford said. "He didn't invent that idea. And he's basically telling us where he got it from." Lankford cautioned against treating any criminal manifesto as fully credible from beginning to end, noting that attackers are aware that their words will get widespread distribution. "Keep in mind this person knew he would get a tremendous amount of attention for this attack and is trying to control the message," he said. Experts said that the internet helps speed up the process of would-be attackers finding inspiration as well as locating like-minded individuals. "The internet is the game-changer in terrorism," said Jeffrey Simon, a security consultant and visiting lecturer at UCLA. "It's the game-changer not only for lone wolf or small-cell terrorists, but for groups too. It becomes sort of a continual revolving door where one perpetrator is going to cite another and give various justifications." McCord said that given the "anti-immigrant, anti-other sentiment" taking hold around the world, it is no surprise people inclined to both extremism and violence would look to previous attackers as models. She also said their ability to learn from each other online evokes something that happened with Isil - a group that has been able to transmit its messages online far faster than al-Qaeda did during its rise. "You see the same thing when it comes to white supremacist violence and domestic terrorism," she said. It used to be necessary to meet with people, she said, but "now you can just find it so quickly on the internet and through social media and you can form groups of people who feed off each other and make it seem like it's more popular and well-entrenched and acceptable than it really is because of the amplification of social media." What happened in New Zealand had at least one other echo of attacks in the US, McCord said, noting that the breadth of the carnage evoked the Pulse nightclub attack in Orlando that left 49 dead and the Las Vegas concert shooting that saw 58 killed. "We've seen other ways of doing terrorist attacks," she said. "This is on a massive scale, and that's a classically American thing."